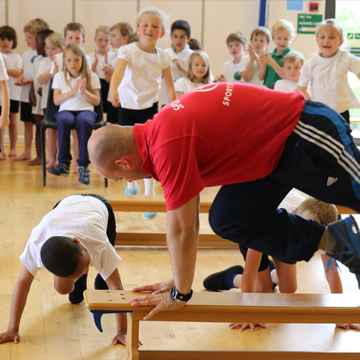 Sports for Schools offers challenging fun, laughter and work with elite athletes. If you feel strongly about living a healthier lifestyle then this could be the perfect environment for you to work in. If you think you’ve got what it takes to go into primary schools, excite and inspire the youngsters to become more physically active, help promote the benefits of exercise for children and are keen to make a living by doing the right thing, please contact us via the big red button below. We’d love to hear from you! 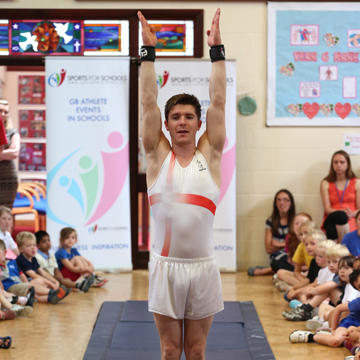 At Sports for Schools we rely on our inspiring team of ATHLETES who compete at the highest level for their country. Our amazing team of energetic SPORTIVATERS are the people that host the Sports for Schools events themselves on site at primary schools throughout GB and Ireland. Our exuberant team at Head Office in Cambridge bring it all together and make it all happen. Together they form the SPORTS for SCHOOLS TEAM and work to create exciting opportunities for children to take up sport and live life to the full! Sports for Schools and SFS Coaching are trading names of the Social Enterprise called Sportivater Limited, a company registered in England no. 08665470.